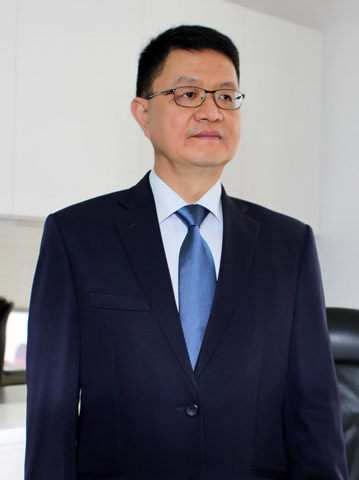 Victor Fungkong is the sole founder, main shareholder and chairman of Indonusa Group’s operation. He graduated from the University of Indonesia with a bachelor of law degree and from Columbia University Law School, New York, with a master of law degree. He was the head of the banking and finance department of and then the managing partner of Makarim & Taira S., one of the leading Indonesian law firms, from 1991 until his retirement in 1998. Since then he is concentrating his time and passion as an entrepreneur. His visionary leadership and strong business ethics have influencing Indonusa’s strategic business directions in nurturing young talents and seize potential business opportunities and sustainability. Currently, Victor actively engages in managing business development and strategic planning commitee of Indonusa Group. He also serves as a non executive director of PT Ajinomoto Indonesia (a subsidiary of Ajinomoto Corporation of Japan) and PT Summit Niaga (a subsidiary of Sumitomo Corporation owning a 2,600 megawatt power plant in Java).